While I was shopping for my carnival costume, I found these tassels at an arts and crafts shop. 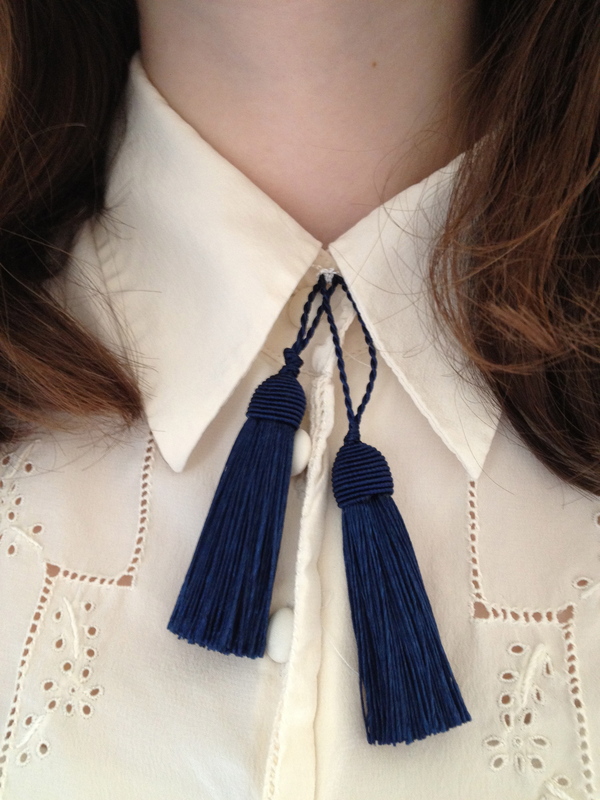 Really quick DIY action and there it was, a tassel necklace. The only other thing you need for it is a thread. Piece of cake. Check out my blog if you want!